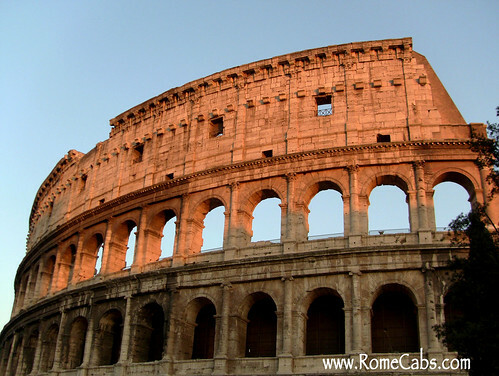 Enhance your visit to the Eternal City with Rome Cabs’s most popular day tour from Rome: ROME IN A DAY. This popular day tour of Rome is carefully designed to offer you the opportunity to explore and experience Rome’s most famous ancient monuments, incredible churches, famous piazzas, and the extraordinary Vatican City that is on everyone's "must see" list. There is a lot of territory to cover in a single day in order to see so many of Rome’s most popular sites. To maximize sightseeing and minimize time lost walking and getting from one place to another, this chauffeured tour is an excellent choice for day tours of Rome, Pre-Cruise and Post-Cruise Tours, and Shore Excursions from the port of Civitavecchia. Experience Rome in the comfort of your private deluxe vehicle as your English speaking Driver introduces you to Rome’s fascinating culture, history, delicious flavors, and hidden secrets that are here waiting for you to enjoy. Your professional Driver will meet you up at your hotel lobby or place of accommodation at 8:00 AM, and you will be returned back to at approximately 4:30 PM. This Rome In A Day tour Begins and Ends in Rome. If your pick up and/or drop off location is the port of Civitavecchia please see our Rome in A Day Shore Excursion tour. On the way to your first destination, you might have the opportunity to drive by the famous ancient Roman Pyramid built for Caius Cestio. It is not possible to stop and visit this monument as it's closed to public visitations. Due to its incorporation into the city's fortified defense wall, this pyramid is one of the most well preserved ancient buildings in Rome today. The pyramid was built approximately 18 BC-12 BC as a tomb for Gaius Cestius Epulo, a well to do Roman magistrate and member of one of the four significant religious corporations in Rome, the Septemviri Epulonum. The pyramid was an overwhelming sight for the many travelers who participated in the Grand Tour of the 18th and 19th centuries. This monument was highly regarded by architects, becoming an inspiration for pyramid buildings constructed in the west during this period. On the way to your first destination, you will pass by the famous ancient Roman Pyramid built for Caius Cestio. Due to its incorporation into the city's fortified defense wall, this pyramid is one of the most well preserved ancient buildings in Rome today. The pyramid was built approximately 18 BC-12 BC as a tomb for Gaius Cestius Epulo, a well to do Roman magistrate and member of one of the four significant religious corporations in Rome, the Septemviri Epulonum. Our first stop on our Rome in A Day Tour will be the Colosseo, the enduring iconic symbol of Rome and its imperial magnificence. Here you will have the opportunity to visit the interior of the world’s most famous elliptical amphitheater on whose arena gladiatorial games, mock sea battles, beast hunts, public executions, and theatrical plays entertained up to 50,000 spectators at a time for 4 centuries. The amphitheater was built in 72 AD over the previous Domus Aurea (Golden House), the vast and opulent personal domain of Emperor Nero. Its original name is the Flavian Amphitheater after the family name of Emperor Vespasian who initiated its construction for public use, contrasting Emperor Nero who used it for his own personal interest. The amphitheater took the name Coliseum from the Colossus of Nero, an ancient towering bronze statue of Nero depicted as the pagan sun god Apollo. From the Coliseum you can also see the Arch of Constantine, the elaborate Victory Arch of the 4th century AD emperor that made Christianity legal during the pagan times when Christians were persecuted for their religious beliefs. After visiting the Coliseum, our next stop will be the nearby Circus Maximus, the large ancient Roman stadium where dangerous chariot races took place for the pleasure of Roman citizens and royalty alike. In the spina (spine) in the center of the stadium serving as part of the dividing barrier, once stood Obelisco Flaminio, the obelisk currently in the center of Piazza del Popolo. The majestic backdrop behind the the Circus Maximus is Palatine Hill where the villas of the emperors and Rome’s elite were built. Your next stop will be at the top of the Capitol Hill (Campidoglio) from where you have the vantage point view of the entire Roman Forum, a stunning portion of the Palatine Hill, and the Coliseum in the distance. This is also a very popular spot for amazing photographs and group photos, so make sure you have your cameras handy. Next to the Capitoline Hill is the imposing Piazza Venezia that gives prominence to the palatial Vittorio Emanuele II Monument , dedicated to the first king of unified Italy. The monument is built of fine white marble from Botticino, Brescia, and boasts grand stairways, lofty Corinthian columns, sculpted fountains, a huge bronze equestrian sculpture of Vittorio Emanuele II and two statues of the pagan goddess Victoria riding on quadrigas (a chariot drawn by four horses abreast). 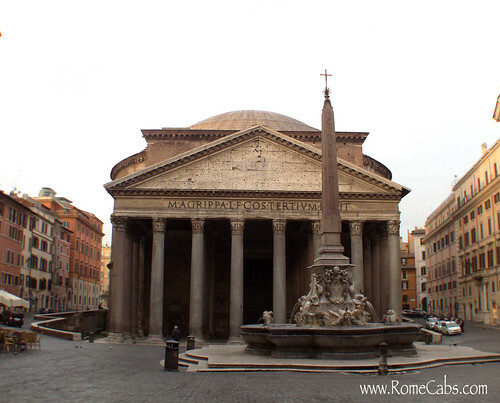 Your Rome in A Day tour continues to your next destination: the Pantheon, Rome's ancient temple once dedicated to all the Roman gods. In 6th century it became a church and burial place for Italy’s royalty like King Vittorio Emanuele II, King Umberto I and Queen Margherita, and notable artists like Raphael. The Pantheon is the best preserved of all ancient Roman buildings, and the oldest standing domed structure in Rome as well as in continuous use throughout its history. It’s quite likely that it’s also the best preserved building of his age in the entire world! Its dome has been an architectural inspiration for centuries, starting with Brunelleschi who studied the Pantheon when designing the dome of the Cathedral of Florence (the Duomo). When you look up to the center of the coffered dome, you’ll see the oculus (Latin for ‘eye’) that has always been open to nature’s elements, allowing rain (and sometimes snow) to enter and fall to the floor, where it is then carried away through drains below. 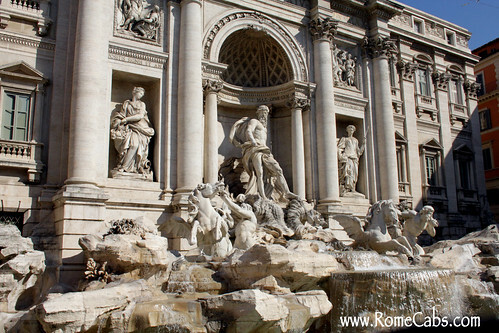 We will then make our way to the famous Trevi fountain, the largest Baroque fountain in Rome. Tradition has it that if visitors throw a coin into the fountain, they will be assured a return to Rome, two coins will lead to a new romance and three will ensure a marriage. Nearly 3,000 Euros are thrown into the fountain daily and are collected at night. The money is used as charity to subsidize a supermarket for Rome's less fortunate. 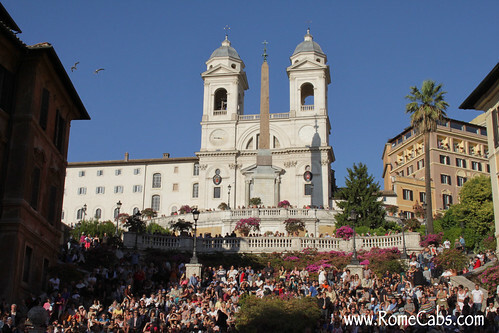 Your next visit on our Rome in A Day Tour will be the famous Spanish Steps with its elegant 18th century winding stairway that connect the square below to the French church of Trinita dei Monti above. The Obelisk Sallustiano that graces the top of the stairs was erected in 1789 as a smaller version copy of the large original Egyptian obelisk belonging to Pharaoh Ramses II that is currently the centerpiece of Piazza del Popolo, and as you’ve previously seen, it first belonged in Circus Maximus. As you stand facing the Spanish Steps, the lovely pink-toned building to your right is the house where the famous English poet John Keats lived and died in 1821. Currently, it’s the Keats-Shelley Memorial House. Below the staircase is an early 1600’s Baroque fountain, “Fontanna della Barcaccio”, or “The Fountain of the Old Boat”, a type of shallow boat particularly used for carrying wine to the port of Ripetta. This distinctive fountain is attributed to Pietro Bernini, the father of the famous sculptor Gian Lorenzo Bernini. The name Spanish Steps earned its name after the Spanish Embassy that was permanently located there in 1647, and it was later transformed into the Spanish Embassy to the Holy See. Afterward your visit to the Spanish Steps you will stop for a quick traditional Italian lunch. After lunch, you will have the opportunity to visit the smallest country in the world, the Vatican (also known as Vatican City). Your first stop will be the Vatican Museums, where you will be amazed and delighted at the extensive compelling collection of masterpieces including Michelangelo, Leonardo da Vinci, Giotto, Caravagio, Perugino, Titian, Raphael, and a vast treasure of classic sculptures from antiquity. Among the most widely visited galleries and halls are Raphael Rooms, Gallery of Tapestries, Hall of Maps, the Pinacoteca and the most famous chapel in the world: the Sistine Chapel. Because the Vatican Museums are so vast and labyrinthine that makes it overwhelming for first time visitors, and posseses such an incredible amount of precious art that is often missed without the guidance of an expert, we highly recommend hiring a private English speaking licensed Vatican Guide to accompany you on a 2 hour tour through the Vatican Museums, Sistine Chapel and St Peter's Basilica. Read the "Please Note" section on this page for more information on Private Licensed Tour Guides in Rome. After the Vatican Museums, you will visit St Peter’s Basilica, the largest church in Christendom and the site where it is believed to be the tomb of St Peter. Inside the basilica you’ll admire Michelangelo’s impressive masterpiece the Pieta, Bernini’s many accomplishments such as the monumental Baldacchino (the bronze canopy above the altar) behind which you’ll see the glowing splendor of the Cathedra Petri (the throne of St Peter) and the ornate Chapel of the Sacrament. This marks the end of your Rome in A Day tour with Rome Cabs. From here your Driver will bring you back to your hotel or place of accommodation. To enhance your experience on this tour and your enjoyment of Rome, please read the important "Tips" and "Please Note" sections on this page. Guests who booked Rome in A Day Tour also enjoyed Montepulciano and Pienza Wine & Cheese Tasting Tour, Viterbo, Calcata and Sutri Tour, and Castles and Lakes Tour via Stefano Rome Tours. * The price of this Rome in A Day Tour includes private deluxe vehicle with a professionally licensed English speaking Driver, Italy VAT tax, fuel, insurance, and parking fees. * The price of this Rome in A Day Tour does not include entrance fees, lunch, gratuities, tour guides, or other client personal expenses. * Please allow up to 1-2 business days for all email inquiry replies and service confirmations. * Are you traveling with children? So we can best provide a family friendly experience on our tours, please let us know if you are traveling with children. If YES, please let us know their ages in the Special Request box of our booking form - this will help us assist our guests traveling with young children who may require child or booster seats. Payment for the tour will be made in Euro funds at the end of your journey. You may also pre-pay in advance via PayPal. Just inform us via email if you would like to prepay. We do not accept credit card payment. Pre-payment via PayPal: Paying in advance by PayPal is easy: just provide us with your email address associated with your PayPal account. Please print your payment voucher and present it to your driver at the time of service to confirm pre-payment. It has been reported that starting in May, the Pantheon will begin charging Admission Tickets to enter the Pantheon (currently estimated at 2 Euros per person). Please be prepared for potential ticket lines and/or wait times. Price of Colosseum standard Admission Tickets booked online in advance is 14 Euros per person. Please purchase your tickets to the Coliseum in advance at the link below. Select to print your vouchers at home and bring them with you in order to avoid long ticket line as the vouchers are required to be converted into tickets. The option for "United States" appear in Italian as "Stati Uniti". Please read the very important information regarding visiting the Colosseum in the "TIPS" section below. 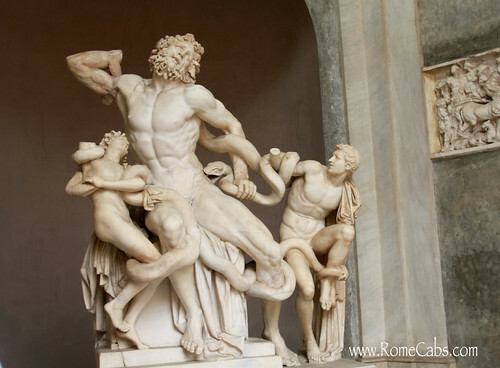 Price of Vatican Museums Admission Tickets with no line booked online up to 60 days in advance at 22 Euros per person. Please book your admission tickets for the 2:00 PM time slot and print your voucher at home. Vatican may change this advance ticket purchase requirement without notice. Once booked, Tickets are NOT Refundable. You MUST bring the printed ticket voucher with you in order to enter the Vatican Museums. 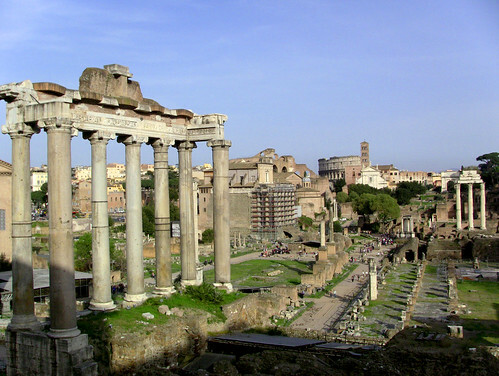 Rome in A Day Tour provides a Driver who is not a Licensed Tour Guide. * Italy has strict laws and regulations in place to protect licensed tour guides, this it makes it unlawful for Tour Drivers to act as a tour guide and accompany guests to sightsee away from the vehicle. In order to comply with Italy’s laws, Tour Drivers may not guide guests to sightsee and will be obliged to remain with the vehicle while you sightsee. * Please refrain from distracting your driver while s/he is driving as your safety inside the moving vehicle is always our top priority. * Your driver will stop as close to the sites as possible in accordance to traffic and Municipality laws and regulations. If you would like to reserve a personal English speaking licensed guide through My Rome Guides to provide you with a private tour of the Colosseo/Roman Forum and Vatican Museums and St Peter's Basilica, please indicate by checking the GUIDE option on your booking form. We highly recommend booking a Private Tour Guide for your Vatican visit that includes the Vatican Museums, Sistine Chapel and St Peter's Basilica for an informative 2 hour tour, to ensure you will not miss any of the most important works of art that are easy to miss in the vast and complex Vatican, and to guarantee access to St Peter's Basilica through the short cut entrance reserved for visitors accompanies by a licensed tour guide. Without a guide you may not be permitted entry, and by accessing the Basilica through St Peter's Square you might encounter long security lines and you risk missing a visit into the Basilica. 150 Euros for a group up to 8 people. IMPORTANT PRIVATE TOUR GUIDE DISCLAIMER: Private licensed tour guides are provided by My Rome Guides and are not employees or affiliates of Rome Cabs as they operate independently. We only only place the reservation for private guided tours on your behalf as a complimentary service for our clients. We receive no compensation or benefit in any way from the hired guides for booking their services for our clients. We recommend their services based on their lawful qualifications, expertise, professionalism and reliability and we have no control of the style of tours they provide. Don’t worry, we never ask for your personal credit card information, require advance payments, or penalize you for cancellations. We operate on the honor system, so we kindly ask that cancellations be made by E-Mail at least 7 days in advance so we have the opportunity rebook your service and your reserved driver does not lose work for that day. Thank you for your kind cooperation. Cancellations are accepted only via E-Mail so your cancellation is on record. We do not accept cancellations by phone, text message, or 3rd parties. If you use HOTMAIL or MSN accounts to book services please check your spam folder daily for correspondence from us. Hotmail and other email accounts arbitrarily sends legtimiate email correspondences into the spam folder (especially hotmail and msn accounts). Be sure to obtain your NO LINE COLOSSEUM TICKETS in advance to avoid long lines. See the section below for more information. It’s always a great idea to bring a bottle of water and sunscreen with you because in the warmer months it becomes quite hot and sunny inside the Colosseum. A hat to protect your head and shade your face is also recommended when spending a significant amount of time in the sun. Do not bring large bags or back packs inside the Colosseum as large bags may not be permitted to enter the monument. The area around the Trevi Fountain and Spanish Steps can become quite crowded, especially during the peak travel months, so be aware of your surroundings and keep your belongings close to you. Do not accept ‘gifts’ from street vendors approaching tourists around the fountain. They may offer you roses, but if choose you accept, you will be expected to pay or give a tip for them. Photography and videography is permitted throughout Vatican Museums, with the exception of sensitive areas where flash photography is forbidden. 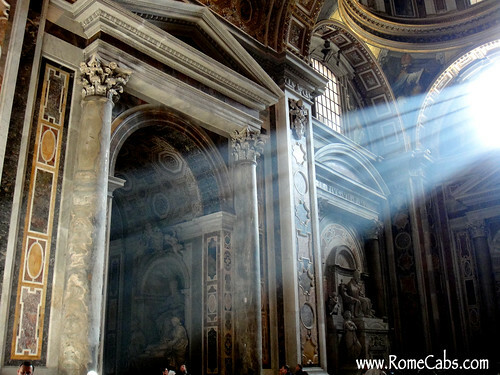 You may use flash photography and videography freely inside St Peter’s Basilica. Any form of photography and videography are strictly forbidden inside the Sistine Chapel. "Hi Stefano, We used your service for two excursions, an airport transfer and a Civitavecchia port transfer. We were extremely pleased with your service on both excursions...."
Using RomeCabs during our visit made or vacation one of the best experiences we have ever had visiting a foreign country. "I did an airport transfer, port transfer and a tour... The drivers were helpful and polite and professional. The tour guide of Rome and the Vatican was beyond expectations..."